Daniel Hernandez helped save the life of Congresswoman Gabrielle Giffords, and his life experience is a source of true inspiration in this heartfelt memoir, “an absorbing eyewitness view of a shocking event wrapped in a fluent, engaging self-portrait” (Kirkus Reviews). When Daniel Hernandez was twenty years old, he was working as an intern for US Representative Gabrielle Giffords. On January 8, 2011, during a “Congress on Your Corner” event, Giffords was shot. Daniel Hernandez’s quick thinking before the paramedics arrived and took Giffords to the hospital saved her life. Hernandez’s bravery and heroism has been noted by many, including President Barack Obama. But while that may have been his most well-known moment in the spotlight, Daniel Hernandez, Jr., is a remarkable individual who has already accomplished much in his young life, and is working to achieve much more. They Call Me a Hero explores Daniel’s life, his character, and the traits that a young person needs to rise above adversity and become a hero like Daniel. “His story is inspiring not only for his bravery during the shooting, but also for his commitment to education advocacy and public service, including his appointment to Tucson’s Commission on LGBT issues and election to the local school board. Photos of Hernandez with family, friends, colleagues, and political figures are included” (Publishers Weekly). Twenty-year-old Daniel Hernandez is an intern working in U.S. Representative Gabby Giffords’s office when she and several others are shot at a constituent event on January 8, 2011, in Tucson, Arizona. In his memoir, Hernandez describes the events that happened that day and the aftermath. He narrates his personal experiences growing up that led him to a career in public service and his passion for wanting to help people in turmoil. 1. Discuss the characteristics of a hero. 2. What makes some individuals jump to the aid of those facing danger, while others do not? 1. Daniel Hernandez is a twenty-year-old intern working for Gabby Giffords on the day that she is shot in Arizona. How did he come to meet Gabby Giffords? What impressed him about her? 2. Describe the morning of the shooting. How does Daniel recall the events of that morning? 3. On the day of the shooting rampage, how did Daniel come to the aid of Gabby Giffords and other victims that day? 4. Why does Daniel contact Steve and Kelly Farley? 5. Daniel does not perceive himself as a hero. Why does he have this perspective? How does he define a hero? Do you think Daniel is a hero? 6. In the early hours of the aftermath, there was a great deal of misinformation about the day’s events. How did Daniel feel about these mistakes and how did he respond? 7. What effect did the Tucson Memorial have on Daniel? His meeting with the President? Arizona governor Jan Brewer spoke to Daniel at the Tucson Memorial and thanked him for his “uncommon courage.” Define “uncommon courage.” Is the phrase fitting? Why or why not? 8. 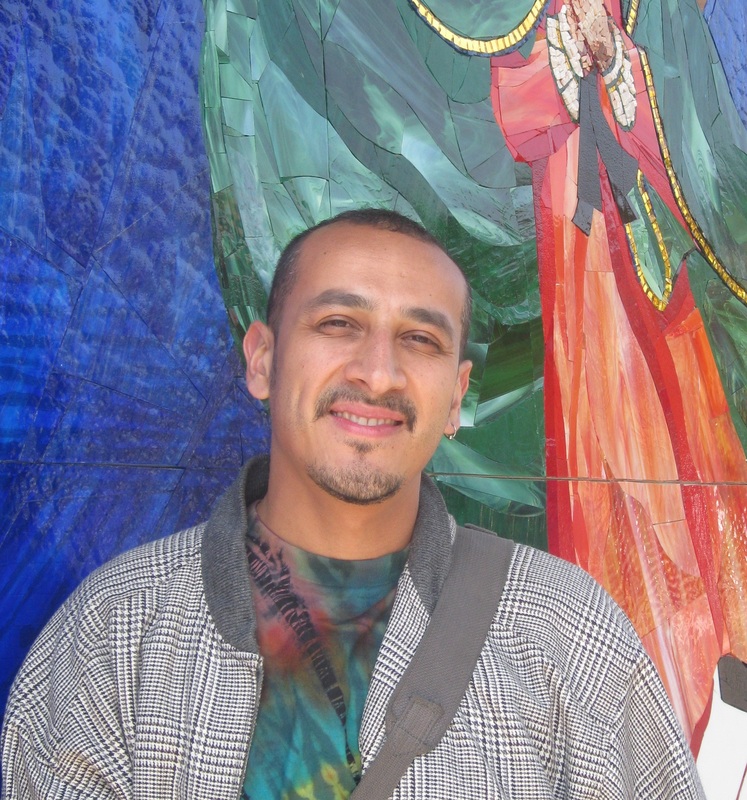 Daniel reflects on being Hispanic and gay. What role does his ethnicity and his gender orientation play in the aftermath? How does Daniel feel about the attention to his identity? 9. After the Tucson shooting, the issue of gun control and mental health services comes to the forefront. What is Daniel’s perspective about what steps need to be taken? Do you agree or disagree and why? 10. Christiane Amanpour from CNN hosts a town hall meeting at Saint Odilia Church. What is the purpose of this meeting? 11. As an adolescent, Daniel believes he wants to enter the medical profession; however, he later decides he wants to work in the area of public policy. Why does he make this change? What do these two areas have in common? 12. Part II of the memoir flashes back to Daniel’s childhood and to his education. How does his childhood and education influence his decision to become an intern? How does his medical training aid him on the day of the shooting? 13. Describe Daniel’s relationship with his father. What role did his father play in his high school and college education? Support your response with evidence from the text. 14. What medical challenges did Daniel overcome in both high school and in college? How have these challenges strengthened his fortitude? 1. The memoir is divided into four major parts: the shooting, growing up, obsessed with politics, the aftermath. These sections are not in chronological order. What effect does this organizational structure have on the story? Why is the memoir structured this way? Is this effective? Why or why not? 2. Today’s media is often criticized for sensationalism. Discuss Daniel’s descriptions of their responses, the interviews, and the aftermath. Do you agree with the manner in which he handled the media? Why or why not? Support your responses with evidence from the text. 3. The Tucson shooting rampage raised questions about gun control and mental health services. Given that even more public shootings have taken place since the Tucson rampage, what steps should we make as a country to prevent these kinds of senseless acts? 4. Daniel grew up in a bilingual family. What happened to bilingual education in his state and how did the change impact Daniel? How did it impact non-English-speaking students? 5. Identify five key events in Daniel’s life that have shaped him into the person he is today. 6. What does Daniel say he has learned from tragedy? How does he believe the shooting has changed his life? 7. At an early age, Daniel has compassion and empathy for others. Where do these characteristics come from? Why do some individuals develop deep compassion while others do not? Daniel Hernandez is a freelance journalist in Mexico City and a contributor at the Mexico City bureau of the Los Angeles Times. He is a former staff writer of the Los Angeles Times and LA Weekly. His journalism has appeared over a variety of platforms and regions, including All Things Considered and Latino USA on NPR, The Guardian, El País, and Gatopardo. Daniel is a native of San Diego and a graduate of the University of California, Berkeley. "Daniel Hernandez is a true American hero. I have had the pleasure of meeting him, and it reminded me why I love this country: Only in America can a young boy whose mother was an immigrant land an internship with his Congresswoman and in the most terrifying moment of his life run towards the bullets to save her life. He handled his newfound fame with grace and dignity and continues to inspire people across the country." "This account...hits all the right notes. Throughout, [Daniel Hernandez] comes across as self-assured but not full of himself, conscious of but not obsessed with his image and his status as a multiple role model, opinionated but not angry or preachy. An absorbing eyewitness view of a shocking event wrapped in a fluent, engaging self-portrait." 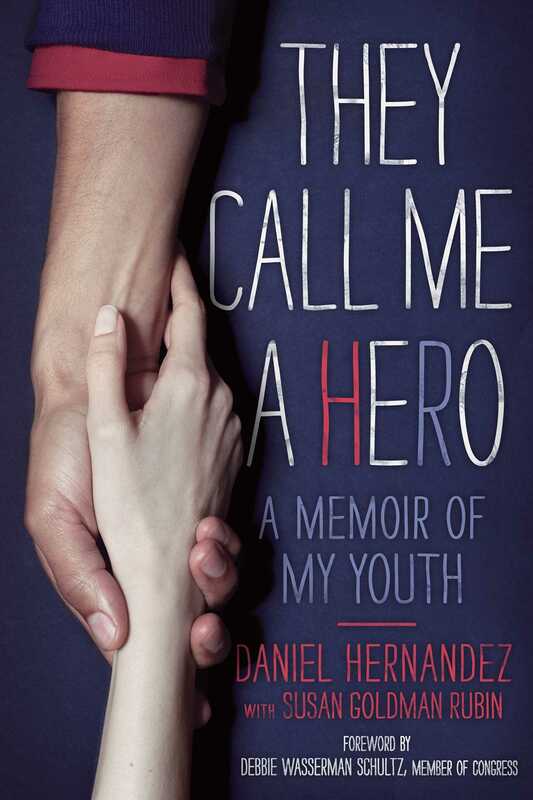 "[This] tense, moment-by-moment recounting of the shooting spree is gripping...Throughout, Hernandez strikes a tone that is humble, earnest, and impassioned, and his story is inspiring not only for his bravery during the shooting, but also for his commitment to education advocacy and public service." “Daniel’s now-famous bravery is matched only by his remarkable sense of duty and deep respect for public service. His story should be required reading for young people wondering if and when they can make an impact on the world. The answers are ‘yes’ and ‘right now.’"
"The heroic young man’s story will be appreciated by politically minded youths as well as those looking for a role model."